A self directed SEP plan allows employers to contribute to traditional IRAs (SEP-IRAs) set up for employees. 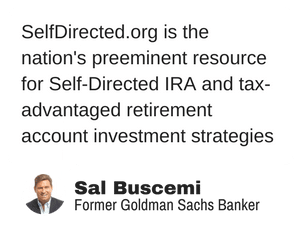 A business of any size, even self-employed, can establish a self-directed SEP.
Self Directed Simplified Employee Pension (SEP) plans can provide a significant source of income at retirement by allowing employers to set aside money in retirement accounts for themselves and their employees. 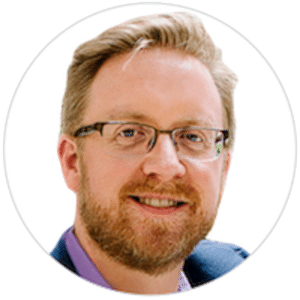 A self directed SEP does not have the start-up and operating costs of a conventional retirement plan and allows for a contribution of up to 25 percent of each employee’s pay. Not permitted. The assets may not be used as collateral. Yes, but includible in income and subject to a 10% additional tax if under age 59 1/2. There are three steps to establishing a Self DIrected SEP. The IRS has a model SEP plan document, Form 5305-SEP, Simplified Employee Pension – Individual Retirement Accounts Contribution Agreement. Do not file this form with the IRS. Who Can Participate in a Self Directed SEP Plan? An employer can use less restrictive participation requirements than those listed, but not more restrictive ones. Example 1: Employer X maintains a calendar year SEP. The eligibility requirements under the SEP are: an employee must perform service in at least three of the immediately preceding five years, reach age 21 and earn the minimum amount of compensation during the current year. Bob worked for Employer X during his summer breaks from school in 2013, 2014 and 2015, but never more than 34 days in any year. In July 2016, Bob turned 21. In August 2016, Bob began working for Employer X on a full-time basis, earning $30,000 in 2016. Bob is an eligible employee in 2016 because he has met the minimum age requirement, has worked for Employer X in three of the five preceding years and has met the minimum compensation requirement for 2016. Example 2: Employer Y writes its SEP plan to provide for immediate participation regardless of age, service or compensation. John is age 18 and began working part-time for Employer Y in 2016. John is an eligible employee for 2016. Generally, any employee who is at least age 21 and performed services for your business in three of the last five years is eligible to participant in the employer's SEP plan. Learn more. In plan operation, you must follow the definition of compensation stated in the document. Compensation generally includes the pay a participant received from you for personal services for a year. contributions to your own SEP-IRA. For more information on the deduction limitations for self-employed individuals, see Publication 560. You do not have to contribute every year. When you contribute, you must contribute to the SEP-IRAs of all participants who actually performed personal services during the year for which the contributions are made, even employees who die or terminate employment before the contributions are made. See the SEP Fix-It Guide for additional information on contribution rules and other information on avoiding common problems in operating a SEP.
You can deduct your contributions and your employees can exclude these contributions from their gross income. SEP contributions are not subject to federal income tax withholding, social security, Medicare and federal unemployment (FUTA) taxes. After you send the SEP contributions to the financial institution you selected, that institution will manage the funds. Employees can move their SEP-IRA assets from one traditional IRA to another. SEP contributions can be put into stocks, mutual funds, money market funds, savings accounts and other similar types of investments. Each employee makes the investment decisions for his or her own account. Contributions to SEP accounts are always 100 percent vested, or owned, by the employee. 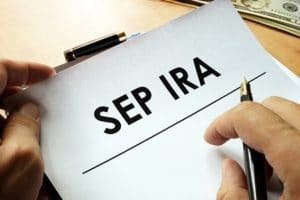 SEP contributions and earnings are held in SEP-IRAs and can be withdrawn at any time, subject to the general limitations imposed on traditional IRAs. A withdrawal is taxable in the year received. If a participant makes a withdrawal before age 59½, generally a 10% additional tax applies. SEP contributions and earnings may be rolled over tax-free to other IRAs and retirement plans. SEP contributions and earnings must eventually be distributed following the IRA required minimum distribution rules. You may roll over your self directed SEP-IRA into most IRAs and qualified plans. Filing requirements: Generally, the employer has no filing requirements, including the Form 5500 return. Do not include SEP contributions on employees’ Form W-2, but check the “Retirement Plan” box in box 13. For more information, see the instructions for Forms W-2 and W-3. a copy of Form 5305-SEP (or the prototype document) and the other documents and disclosures listed in its instructions. notice of any amendments to the SEP and the requirements for receiving contributions. You should conduct an annual check-up to help determine whether your SEP plan is operating within the rules. Checklists and tips are available to help with periodic reviews of your plan. What are the consequences of making a mistake in operating my plan? Generally, if the SEP fails to satisfy its legal requirements, tax benefits can be lost. However, any error can likely be corrected by using one of the IRS correction programs. What are your questions about SEP IRA’s?